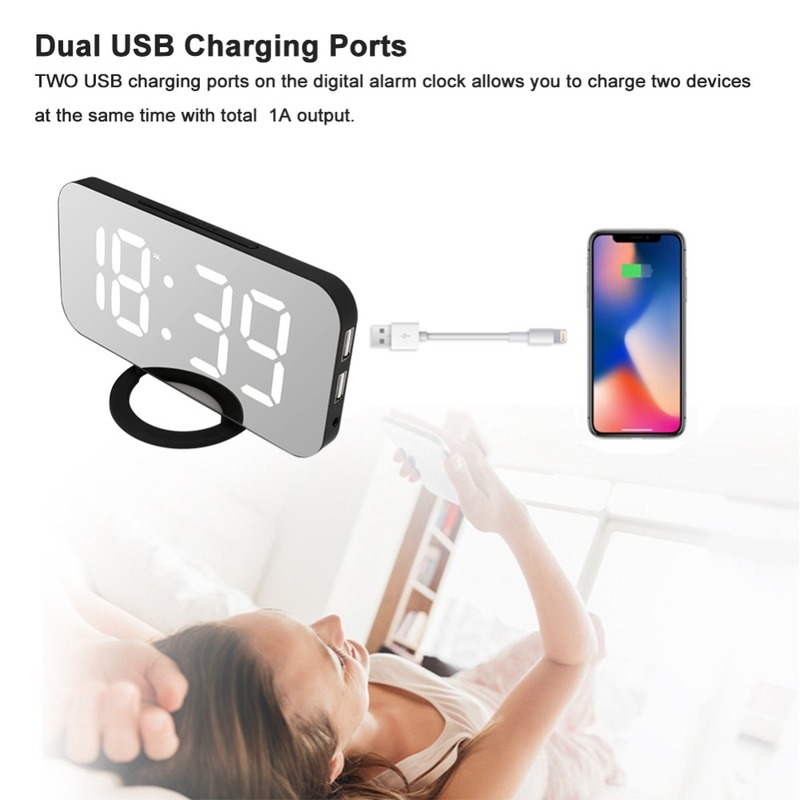 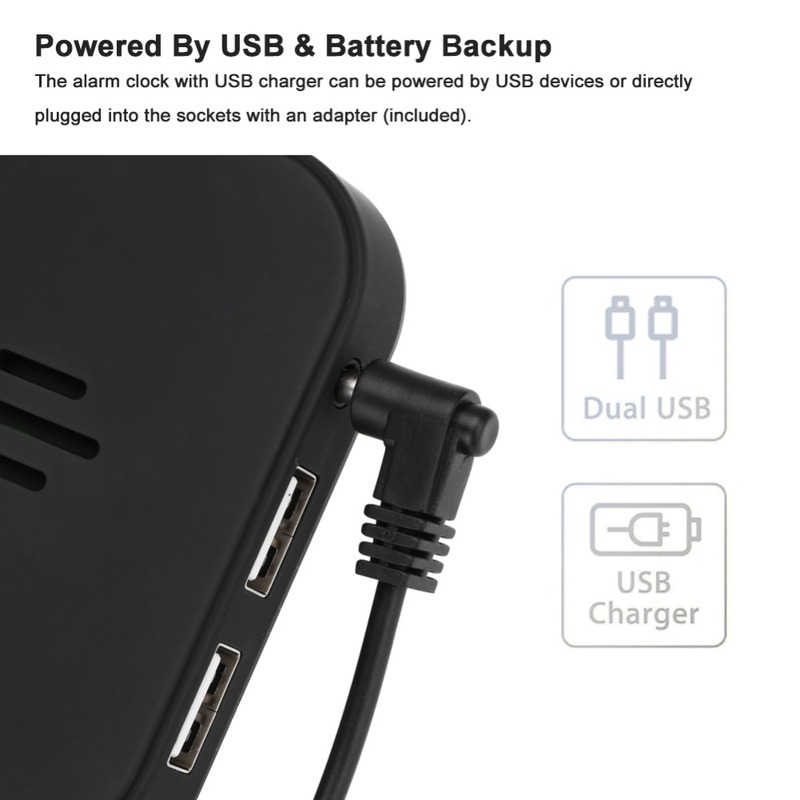 1.Dual USB ports at side provide convenient charging ports for your smart phones or tablets,can charge two phone in the sametime. 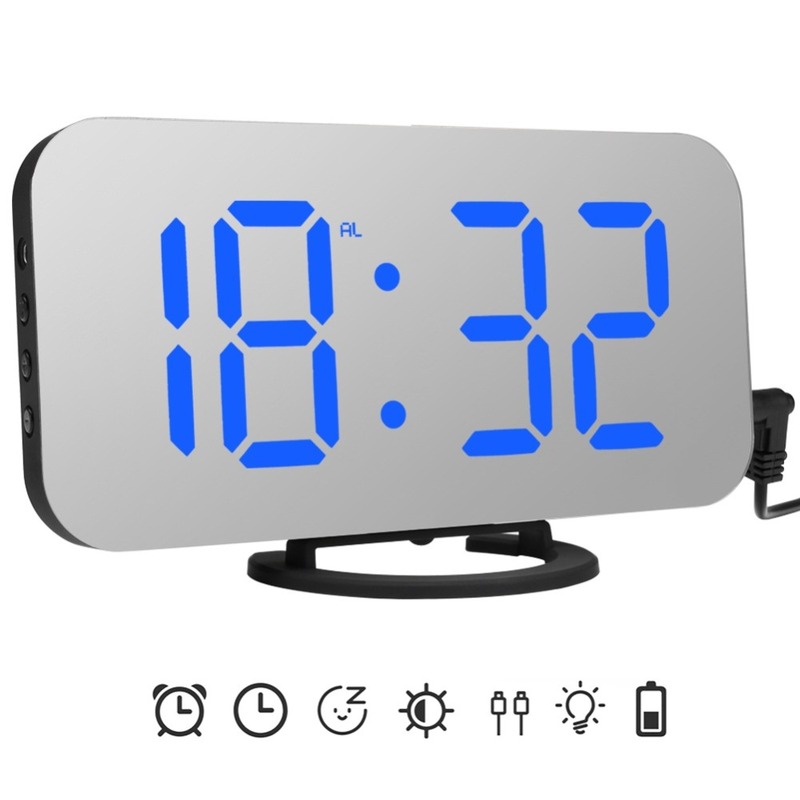 2.Digital alarm clock with large screen and high-contrast display lets you check the time clearly at a glance even it is far from you. 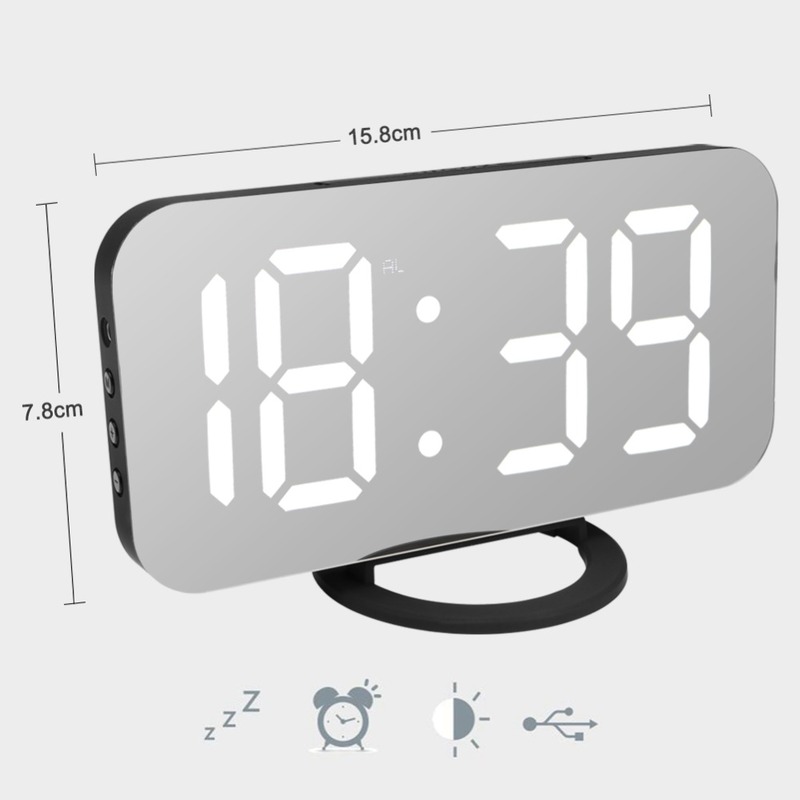 3.Big snooze button helps you to easily turn off the buzzer but simultaneously prevent oversleeping. 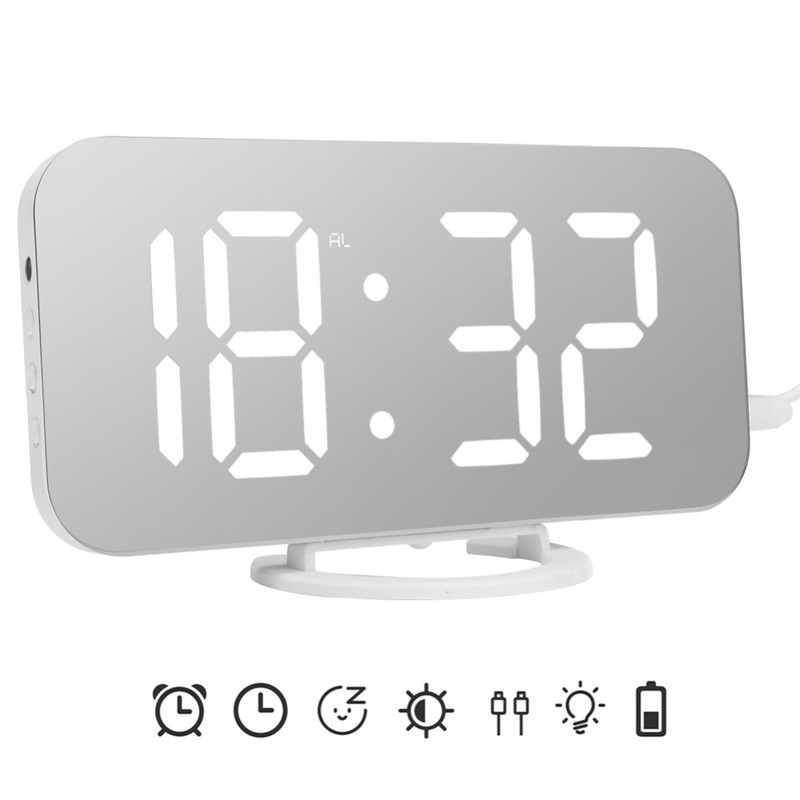 4.Time in optional 12/24 hour format. 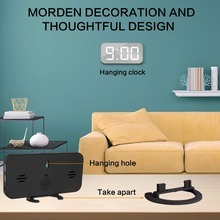 Easy change in your mind. 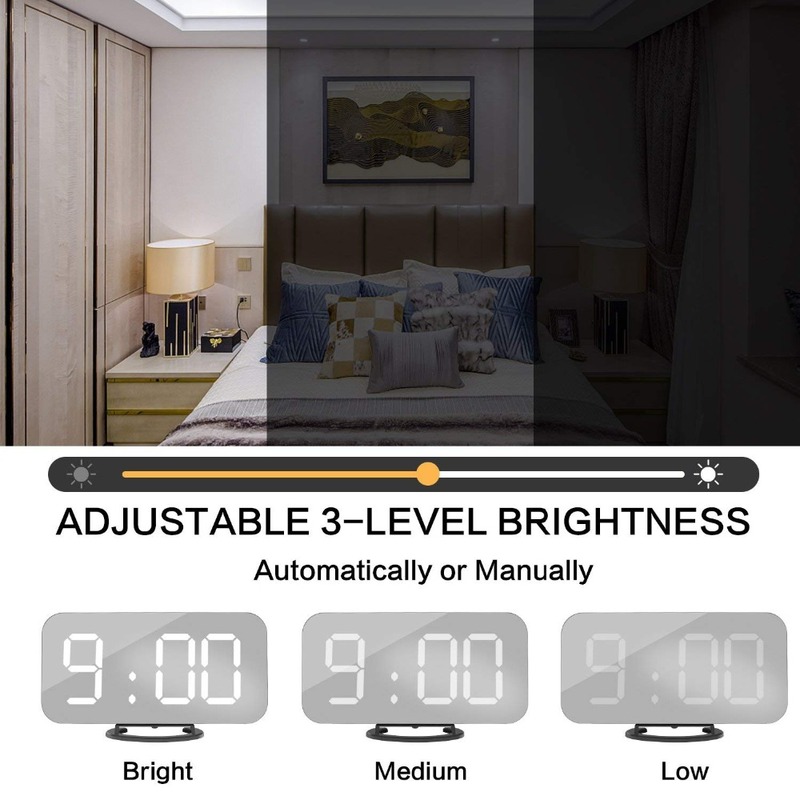 5.Auto/manual brightness – Bright-Medium-Dim, 3 options meet all your needs for day and night. 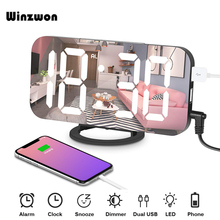 6.Memory function: built-in CR2016 button battery, when the external power supply is off, the time and various settings will remain unchanged, and the time of the external power supply will not be displayed when the power is off, so as not to repeat the settings next time. 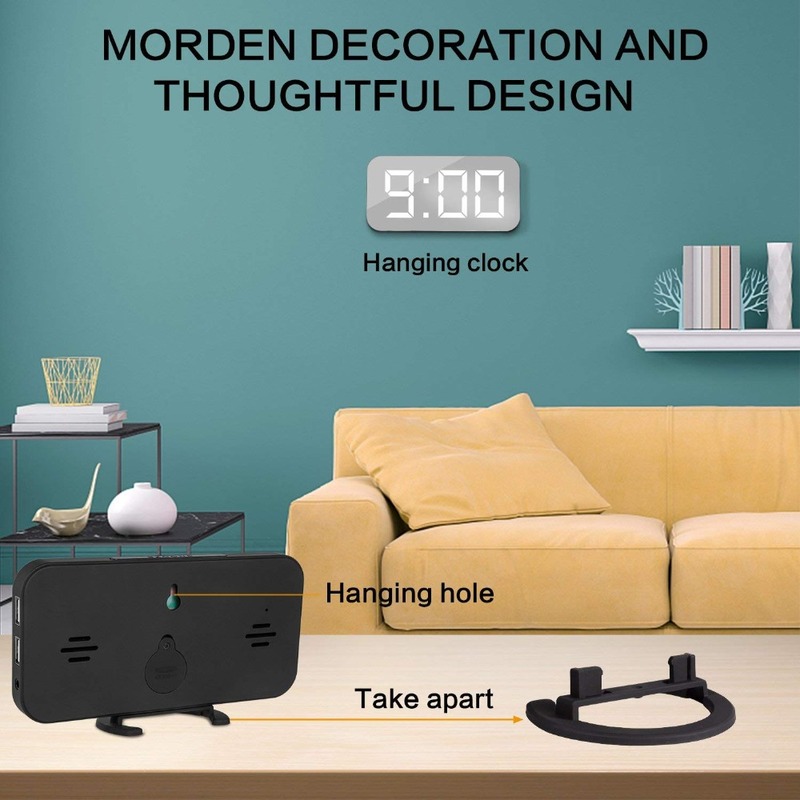 7.Two Way installation allows you to place the clock on a desk or hang it on a wall. 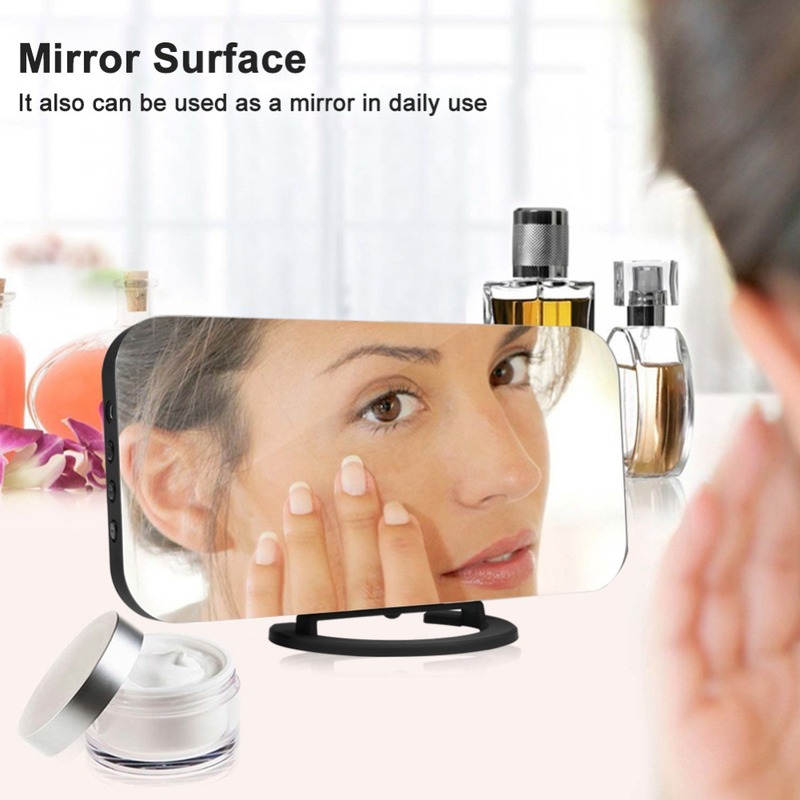 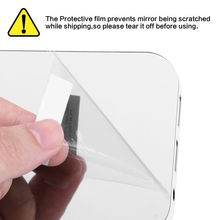 8.Slim and simple mirror design blends perfectly in your bedroom, living room, office, etc. 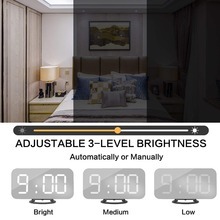 8.Function: LED display,snooze,alarm clock,dual USB output,time memory,automatic dimming.